Coffee sleeves produced in-house from start to finish. HotShot Coffee Sleeves is a commercial printing and marketing company specializing in the production of high quality custom printed cup sleeves. By providing all printing and finishing operations in house we excel at providing the highest quality coffee sleeve at the best prices. 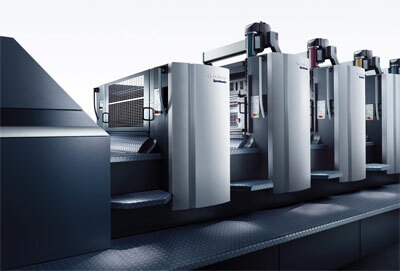 We have our foundations in providing quality offset commercial printing services. For years we have produced high quality print items such as postcards, brochures, posters and packaging. After designing our own unique custom cup sleeves we have expanded our operations and now produce sleeves on a daily basis and ship all over North America. Why custom printed coffee sleeves? Just like with commercial printing we realize not all cafes, restaurants and marketers can order 25,000 or more custom cup sleeves at one time. Whether you are just starting out, are running a small campaign, or just don’t have the room to store 1000`s of sleeves, we strive to meet the needs of clients with requirements both large and small. By coupling our understanding of print, packaging and the needs of businesses along with the development of our unique Patent Pending sleeve design we make custom cup sleeves affordable for all. In addition our production methods and unique coffee sleeve design allow for extreme versatility when it comes to planning the use of your sleeve. Give us a try for your next sleeve order. No longer is it simply about making a hot cup comfortable for your customers…lets’ work together in creating a high quality, highly visual custom cup sleeve that will keep your brand top of mind and engage your customers!